Whether you need routine maintenance, emergency repair, replacement equipment, or a complete indoor air quality system, H.A. Sun Heating & Air Conditioning is ready to help 24 hours a day, 7 days a week, 365 days a year. We have been serving Birmingham, MI and the surrounding area since 1982 and we pride ourselves on timely service, proven strategies and attention to detail. No matter what type of problem you face with any make, model, or style of air conditioner, furnace or heating system, you can rely on the HVAC experts at H.A. Sun Heating & Air Conditioning when you need AC repair or furnace repair in Birmingham, MI. We draw from 36 years of firsthand experience, extensive training, and cutting-edge technology to deliver lasting and affordable solutions to heating and cooling issues. And we don’t settle for generic answers, but target the safe, efficient, and sustainable operation of essential HVAC equipment. Let our heating and air conditioning pros handle the work and responsibility of keeping your heating and air conditioning system operating in peak condition throughout the year. Through timely service, proven strategies, and attention to detail, our licensed HVAC technicians optimize the performance of all makes, models, and styles of furnaces, air conditioners heat pumps, and heating & cooling equipment. Our comprehensive HVAC maintenance programs will help ensure great benefits from your heating and AC system investment. And you can count on us for prompt arrival, courteous HVAC professionals, tidy job sites, honest answers, and affordable pricing. With conscientious and skilled service, we will help ensure the efficiency, capacity, and reliability of the heating and air conditioning system in your Birmingham home. With almost 40 years of experience installing heating systems and air conditioning systems in Birmingham homes, we not only know what it takes to keep you comfortable, but recognize your requirements and expectations are unique. By personalizing our recommendations to match demand, budget, and lifestyle, we deliver greater satisfaction and return from your HVAC system investment. We specialize in Lennox, Trane, Carrier, and Bryant brand air conditioners, furnaces and HVAC equipment in a wide range of styles and sizes, offering the leading innovations and ensuring the ideal solution for you. Our HVAC technicians have the training and experience to ensure a smooth system installation in your home. We can tailor a system to suit, handle start-to-finish air conditioner or furnace installation, and complete your project quickly, properly, and at a fair price. It is our goal to not only provide immediate and expert heating and cooling service, but to earn your long-term business through superior job performance. We are a locally-owned and operated HVAC company that is dedicated to quality service and customer satisfaction. Give us a call at (248) 335-4555 or contact us online. 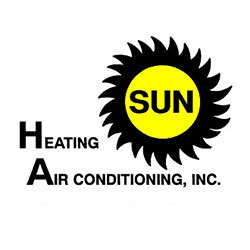 “I had a great experience working with Sun Heating & Air Conditioning. Their response time was great and their pricing was on point.” – Jeff A.